"I'm always looking for new ways to make mashed potatoes, and this recipe came together one day when I was trying to use up some feta cheese. The feta and capers add a nice tang and give the potatoes a unique flavor that will leave your guests asking for the recipe! Serve hot." 1Place potatoes into a large pot and cover with salted water; bring to a boil. Reduce heat to medium-low and simmer until tender, about 15 minutes. Drain. 2Mix feta cheese, butter, milk, capers, garlic, salt, and pepper into the potatoes. 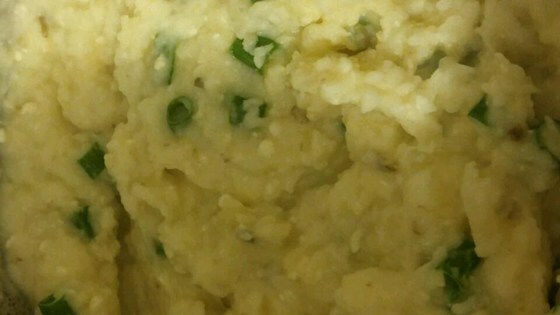 Mash with a potato masher or electric mixer to desired consistency. Substitute heavy cream for the milk if desired.